The Raconteurs have announced a new album, “Help Us Stranger”, It’s their first new album in 11 years, since their 2008-released second album, Consolers of the Lonely. “Help Us Stranger” is due out June 21st via Third Man Recordings. No new music accompanies the album announcement, but it includes the remixed and remastered versions of two songs the band shared back in December: “Sunday Driver” and “Now That You’re Gone”. The band features Jack White, Brendan Benson, Jack Lawrence, and Patrick Keeler. The Raconteurs formed in 2005 and released their debut album, Broken Boy Soldiers, in 2006. Lawrence and Keeler were also in The Greenhornes and Lawrence has also played with White in The Dead Weather. Benson is known as a solo artist and of course so is White, who released a new solo album, Boarding House Reach, in 2018 via Third Man and Columbia. The band is known as The Saboteurs in Australia, due to another band down under named The Raconteurs. Jack White and Brendan Benson wrote all the tracks, except for “Hey Gyp (Dig the Slowness),” which is a Donovan cover. The Raconteurs produced the album, which was recorded at Third Man Studio in Nashville, TN, and engineered by Joshua V. Smith. Vance Powell and The Raconteurs mixed the album at Blackbird Studios in Nashville. The album also features keyboardist/multi-instrumentalist Dean Fertita (The Dead Weather, Queens of the Stone Age), as well as Lillie Mae Rische and her sister Scarlett Rische. A special Third Man Vault edition of the album will include the album on 180-gram marble vinyl and a 7-inch featuring early demo recordings of “Help Me Stranger” and “Somedays (I Don’t Feel Like Trying),” as well as a Raconteurs bandana designed by Keeler and an exclusive Raconteurs slip mat. 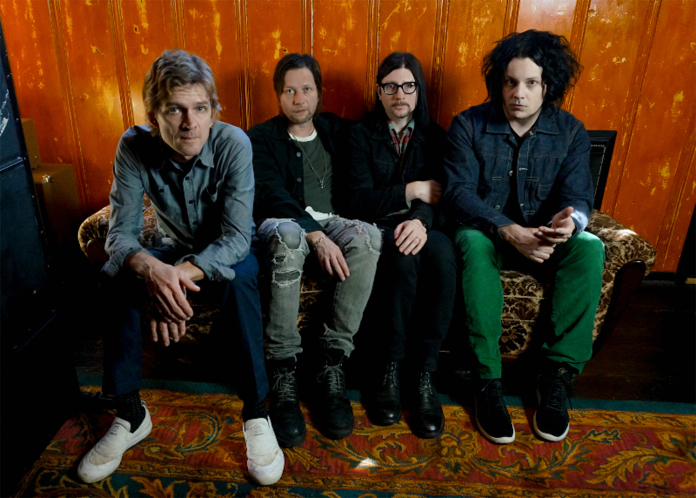 The Raconteurs Announce First New Album in 11 Years, “Help Us Stranger” Due Out June 21 via Third Man Reordings.